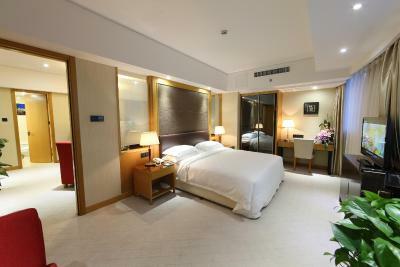 Lock in a great price for Aurum International Hotel Xi'an - rated 8.3 by recent guests. 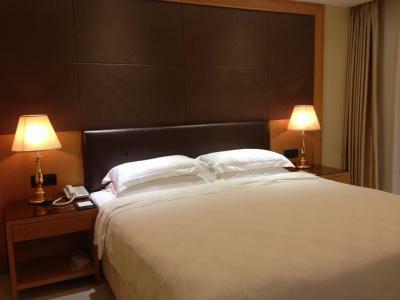 Manager Miss Wong has a lots of hotel management skills, she provide very good services and very helpful if we find some problems go to the tourist area. 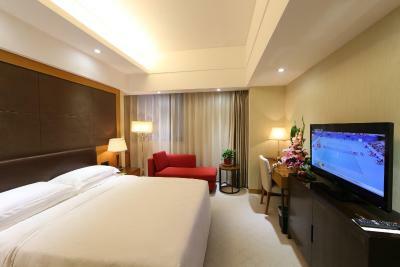 The hotel is very clean and comfortable. Very helpful personnel. 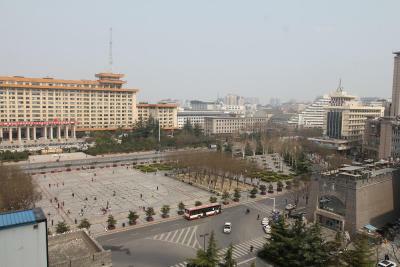 Will go back if in Xi’an again! I arrived on the day of my birthday. The hotel did me upgrade free and gave a delicious birthday cake. 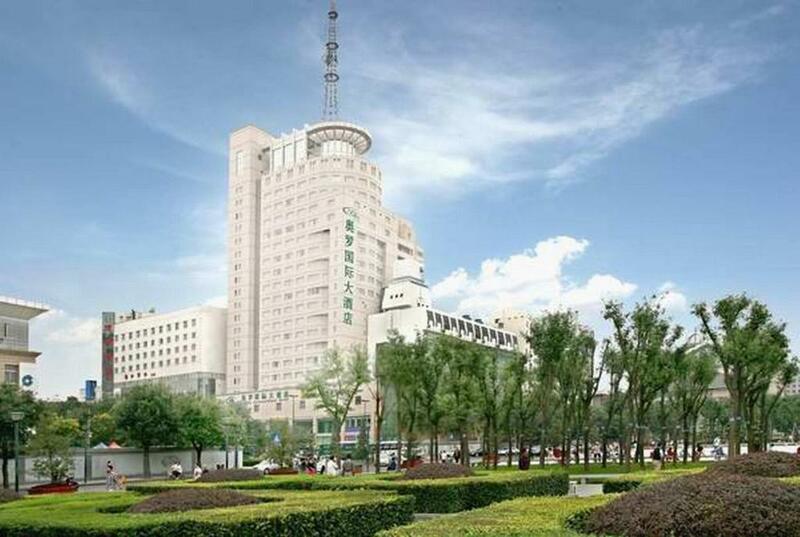 The location was great, even though the metro is a bit of a walk, you are in the middle of Xi'an so it's very easy to walk anywhere. Air-con did not work, but they provided a nice little air-con/fan to use in our room so it was no problem. 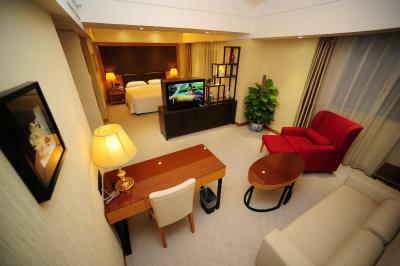 The rooms are quite small, but the staff is very nice. Maggie manager speaks very good english, helpfull and efficient for every things. Kenny also. 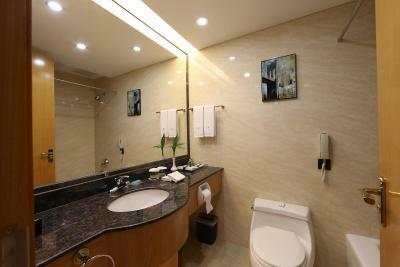 It is very well located and it has clean facilities. The buffet breakfast and dinner are really good. 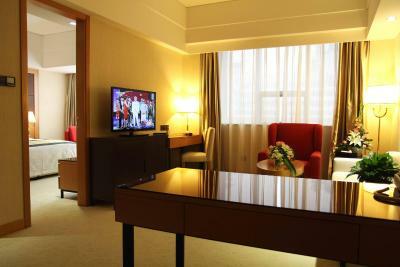 Room was spacious and the staff was very helpful in arranging transportation to the train station for an early check-out. 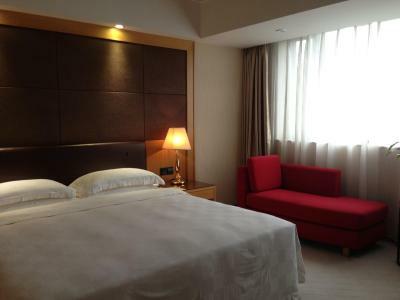 The hotel was clean and well-kept. The staff and managers (day shift and night shift) were very polite. It was a good experience. Very helpful staff, everything was neat and tidy. The reception was very helpful when I asked for directions and idea's on how to visit museum's and scenery on my own instead of going with a tour. Excellent location we could walk to everything we wanted to go! Easy quick 20 minute walk to the bell tower, the drum tower and the Muslim market! 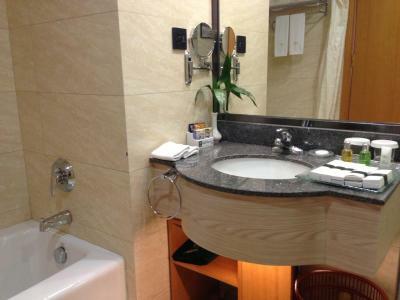 The room was cleaned and towels and toiletries replaced daily. 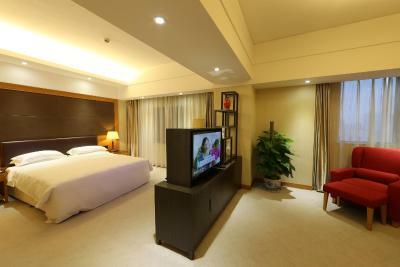 The room was also really large and spacious and very cosy and warm. 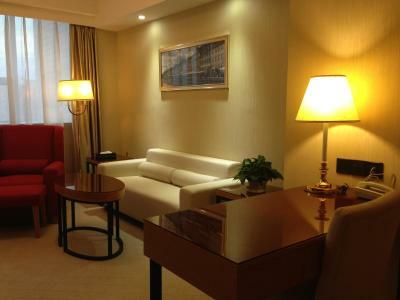 Quite a grand and luxurious feel to the hotel with a concierge to welcome us and take our cases to our rooms. Staff were really friendly and helpful and always had a smile! 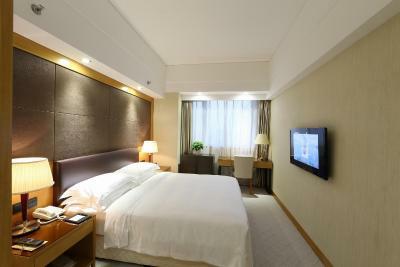 One of our top picks in Xi'an.Located in Xincheng District, Aurum International Hotel offers well-appointed rooms with free internet. 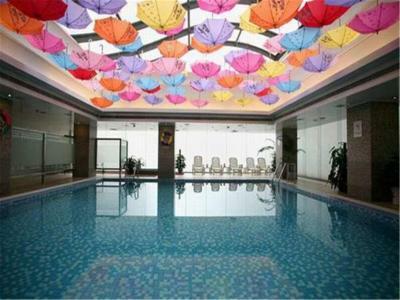 Around a 10-minute walk from the Bell and Drum Tower as well as the Muslim Street, it offers an indoor pool. Conveniently located, The Aurum International is surrounded by shopping and dining options. Xi'an City Wall Yongningmen is around 8 minutes' drive away. 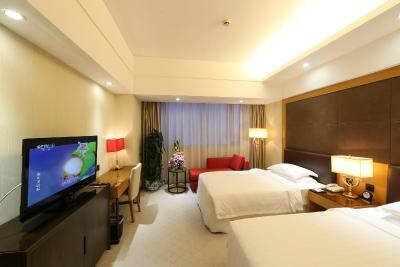 It is about 0.9 miles from Xi'an Railway Station and about 28 miles from Xianyang International Airport. 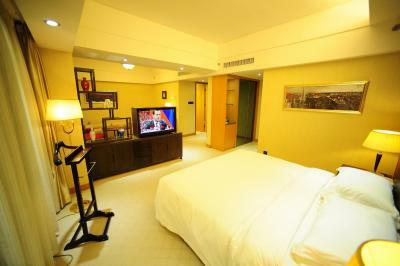 Spacious and bright, rooms are well equipped with air conditioning, minibar, SOS system, 39-inch LCD cable TV and a safe. Bottled water is offered per room. 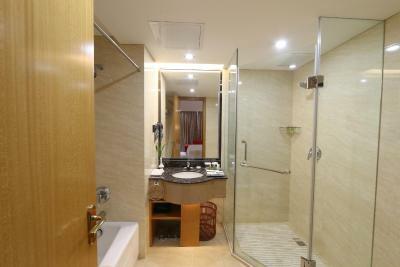 En suite bathrooms feature a bathtub, slippers and a hairdryer for added comfort. 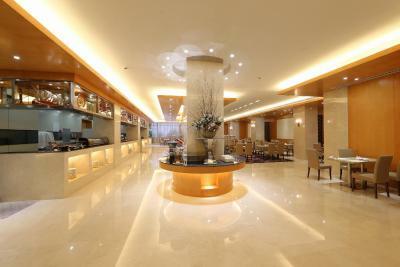 International Aurum's restaurant offers Chinese and Western dishes. Meals can be enjoyed in the privacy of guests' rooms. 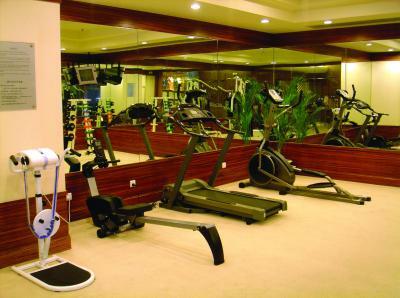 There is also a fitness room on site. 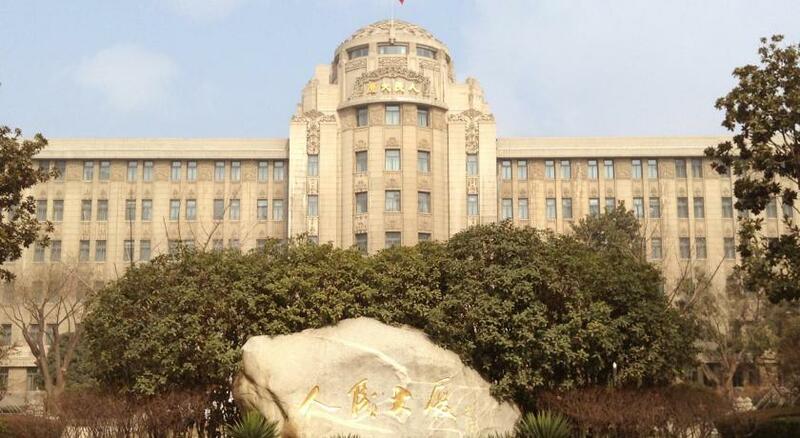 Xincheng is a great choice for travellers interested in sightseeing, archaeology and street food. 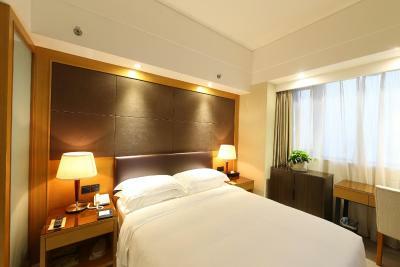 This is our guests' favourite part of Xi'an, according to independent reviews. 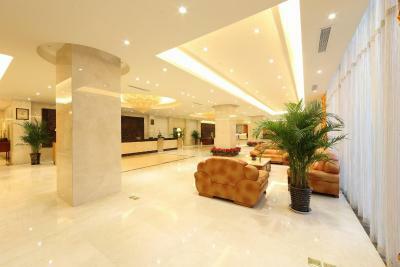 Aurum International Hotel Xi'an has been welcoming Booking.com guests since 13 Apr 2011. 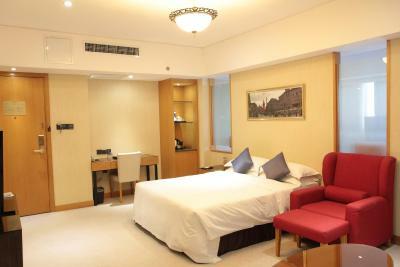 When would you like to stay at Aurum International Hotel Xi'an? 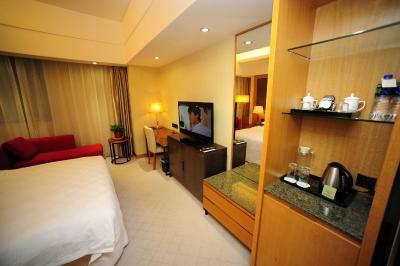 This twin/double room has a seating area, bathrobes and soundproofing. 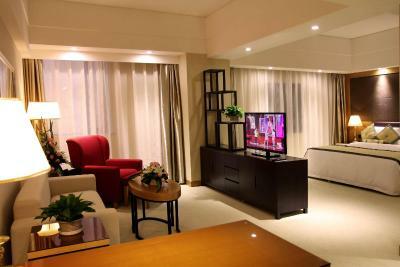 A spacious room featuring a living area with a sofa set. 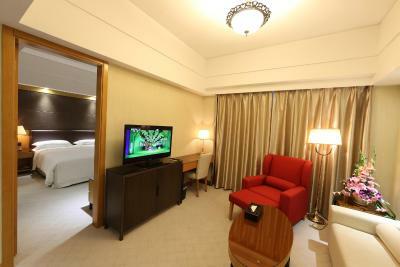 A large suite offering spacious interiors and living room with sofa set. This family room features satellite TV, seating area and soundproofing. 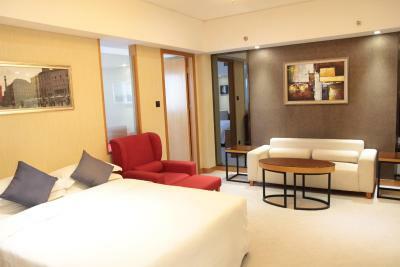 This twin room features a seating area, minibar and bathrobe. 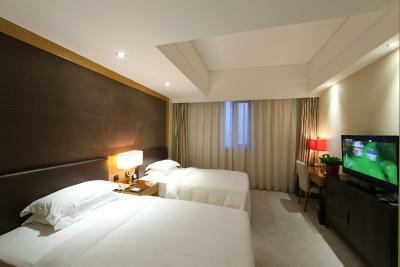 This twin room has air conditioning, seating area and flat-screen TV. 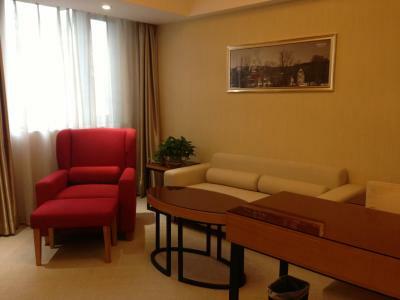 Hotel surroundings – This neighbourhood is a great choice for travellers interested in sightseeing, archaeology and street food – Check location Great location - show map Guests loved walking around the neighbourhood! Dominated by a 12-metre-high, ancient wall, Xi’an’s old town is flourished with intricately decorated gates. Explore the wall’s heights by bike and stop to watch tai chi in picturesque squares. 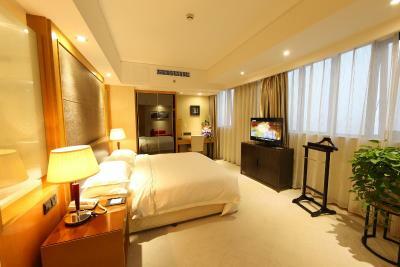 House rules Aurum International Hotel Xi'an takes special requests - add in the next step! 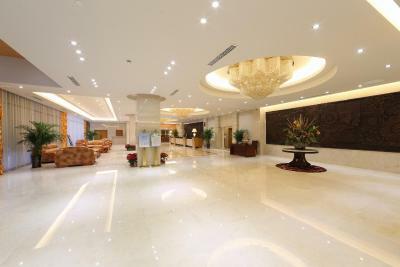 Aurum International Hotel Xi&#39;an accepts these cards and reserves the right to temporarily hold an amount prior to arrival. 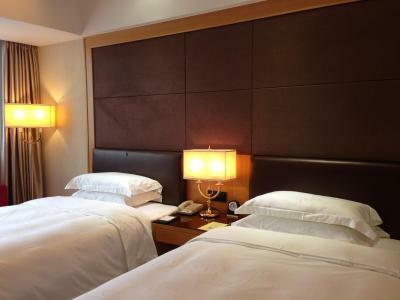 Aurum International Hotel Xi'an accepts these cards and reserves the right to temporarily hold an amount prior to arrival. 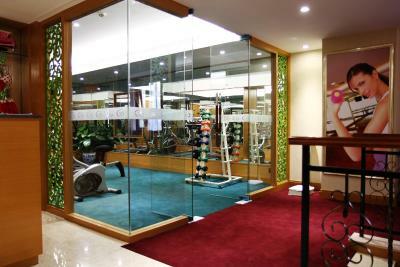 Please note that the Sauna has already been closed, reopening date will be advised in due course. One of the most picturesque neighbourhoods in Xi'an! Disappointed Could not use swimming poor without swim cap. And Sauna out of order. 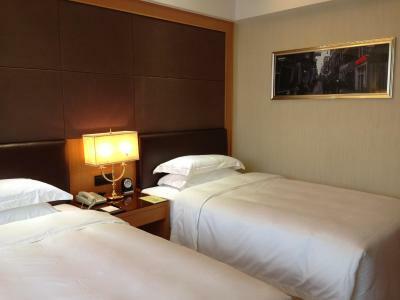 We could not adjust the ac in the room to cool the room to the temperature convenient for us..(it was set at warmer temperature). 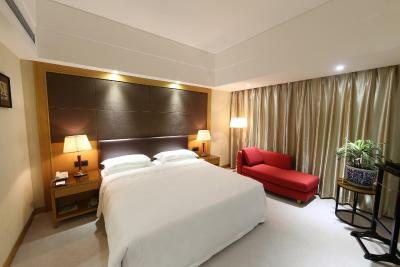 Nice clean, comfortable hotel. Friendly helpful staff. Especially Meggy at the reception who helped us arranging our departure. 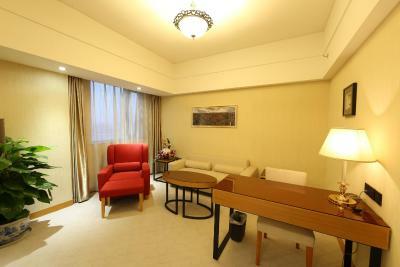 The location is central, easy to reach places of interest in the city. 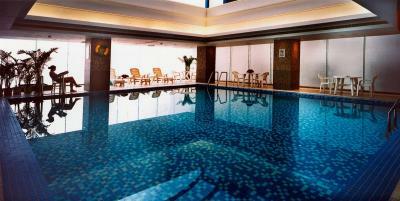 The staff really can’t communicate in English and the facilities like the swimming pool are dated and dingy. Also the sauna and steam room were out of order. The location is good and the rooms are clean. It is difficult to stop and park outside the hotel. There are not enough space to allow 2 car on the driveway, if a car stop the other car can not pass it. 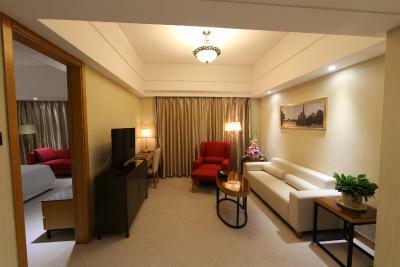 The first room we were given did not match the images- the images are an amalgam of various different rooms. They kindly put us in a different room the second night, more appropriate for a toddler (the reason we got the hotel), but it was a bit more dingy, with water damage on the walls, and lacking a view. The saunas are out of order. The television has very limited provisions in English, and all the movies in the entertainment center were actually unavailable. The heat is centralized, and there is no air conditioning, so you can only cool down the place by opening the windows- but the AQI was very bad, so we couldn't do that to a toddler and pregnant woman. We were very put out therefore that one of the maids, when cleaning the room, opened up the window to let in all the dirty, dangerous air. 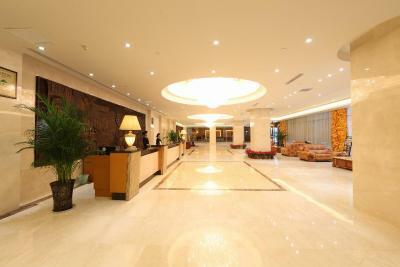 The staff is amazing, and were constantly accommodating. 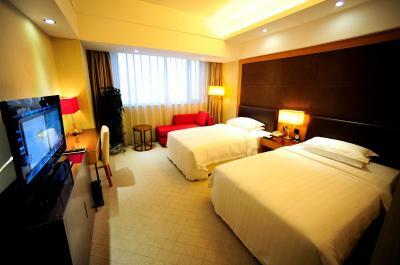 They helped us get a better room that fit our specifications, order taxis, and gave directions. They procured an air purifier when the AQI was high for my pregnant wife and toddler. The pool is mystic, with rising fog. I love that it's actually on the 4th floor. 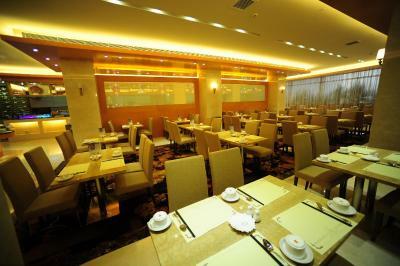 The Western Restaurant is not actually completely Western, but has great food, including hot pot, cereal, and bacon, with a large buffet. I recommend ordering their club sandwiches as well. 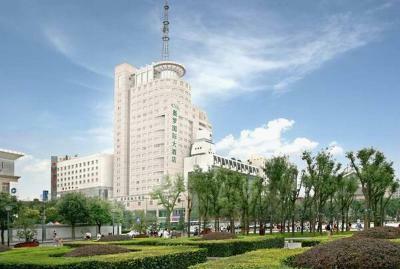 The hotel is near the Bell Tower (skip), the Drum Tower (neat), and the Muslim Street (Must See). Evening dinner buffet was not very hot. Was woken very early in the morning by chambermaids chatting and shouting loudly despite having a DND sign on the door. The pool area was not heated so was freezing cold.